Purchase this product now and earn 2,280 Points! These Ashton cigarillos are delightful if anything thanks to the master construction visible on every inch of the stick. Available in maduro or natural, these petite smokes boast superior quality with a rich blend of Dominican tobaccos that deliver delicious flavor with every puff. 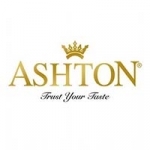 Grab a tin and make smoking on-the-go more pleasant with Ashton.